I hope somebody can assist. I have downloaded Norton Security and it has been working fine up until now (not due to expire until September). However now I cannot run a Live Update or Scan. I click the Norton icon and it does not appear as it used to and does not show any of the options. It comes up saying you are protected with the last scan 8 seconds ago and a red line across the middle. When I click the page it just says 'Coming Soon'?! Have you tried restarting your computer? If it still doesn't work af all, I would try the Remove and Reinstall Tool. Please read the paragraph before you use it. Please run Live update until there are no more updates restarting as requested. Yes it's been like it for a few days. I'll try the Remove and Reinstall Tool, thanks. Had same issue as you,tried norton remove and reinstall,but despite doin this,the problem is still there ! If any of you are on Windows 10 and have not checked for "fast boot" being enabled since the last Microsoft patch Tuesday please check. Windows 10 update have a habit of re-enabling fast boot by default. Really? I've never seen that. That's terrible. I mean with how little fast boot really does. Someone could just use hibernate when they wanted and disable "fast boot" and forget about it., that way their shutdown button would work properly. The only difference between a "fast boot" "shutdown" and a hibernate is that a "fast boot" "shutdown" logs off before hibernating (no shutdown happens in either case). The problem with "fast boot" is that the user almost never shuts down at all, only hibernates. password Fast boot re-enabling happens with just about every update from windows updates. It also will re-enable remote desktop even when I have it disabled. Multiple times I have had to disable both and look for it after every major update. Having fast boot enabled is also a known cause of numerous issues with SSD drives as well. Setting boot time scan to aggressive in Norton fixes alot of small issues as well. Have a look at this thread. 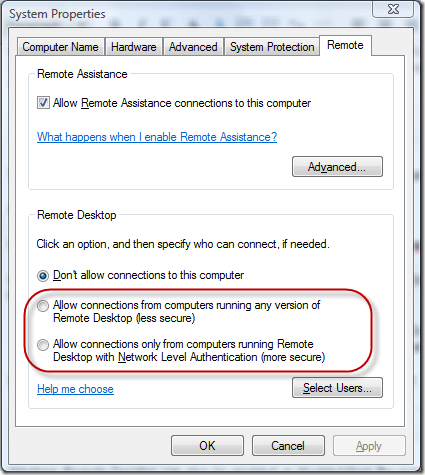 Remote desktop turning on by itself is a security issue. Neither of those settings changes is normal. I set aggressive by default (why not?). I can't see any issue with SSDs and hibernate (which is what "fast boot" is, just with a logoff first). A bit more (not much) writing but well within normal for a good SSD. At least no issues that aren't shared with conventional HDs. I could see a setting mess up due to an operating system upgrade (there are currently 4 major versions of windows 10). I would suggest making a customer power profile (rather than editing balanced). If that doesn't work do a clean reinstall of windows 10. If that doesn't work (or maybe just anyway) abandon windows 10 and find a different OS. password Please have a look at these articles. Fast boot being enabled is a well documented issue with SSD drives. One user (with massive amounts of ram) has problems with hibernate (which is what "fast boot" is), probably some sort of driver issue or a system specific issue. I think this user may have had a problem with hibernate (and by extension "fast boot") even if they used a normal hard drive. The other user only saw trivial benefits (due to SSD performance characteristics). I say disable "fast boot" in all cases since it is just hibernate (aside from also logging off), and hibernate is already available. None of these should re-enable "fast boot" (nor remote desktop). I'm saying it turning back on is not normal, I've seen a windows 10 machine where it stays off. Why would you have an option to turn something off just to have it be turned back on again? password Editing a registry entry I would NEVER recommend to the average person due to the severe damage it can cause with a system up to and including being unusable. Please note fast boot runs under "local machine" policies thus the services are re-enabled under a password built into the OS the user cannot see. Changing to "Local System Account" can cause serious issue thus the reasoning for NOT manually editing the registry entriesHere is WHY Microsoft re-enables fast boot by default. Some suggestions on how to disable fast boot. . In general these are just annoying and will hopefully be addressed in a future build of Windows 10.
password Editing a registry entry I would NEVER recommend to the average person due to the severe damage it can cause with a system up to and including being unusable. I didn't mean edit, I meant look. Look and see what is there. Then post it, don't make changes. Just you, SoulAsylum. Please note fast boot runs under "local machine" policies thus the services are re-enabled under a password built into the OS the user cannot see. Here is WHY Microsoft re-enables fast boot by default. Uh... No. That's how to disable windows services. That's where(above) you turn off "fast startup", uncheck "Turn on fast startup". If this is your computer you have disabled "fast startup" aka Hiberboot (and if it stays unchecked it is still disabled), and you have hidden sleep and hibernate from the power menu (hibernate may still be enabled). Image above is that you disabled "Terminal Services" which runs remote desktop in pro versions of windows, and several internal functions in all versions of windows. If you disabled this service I suggest you re-enable it.